Lock in a great price for Villa Mata – rated 8.9 by recent guests! 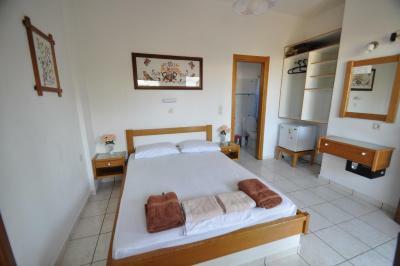 Excellent location, convenient for the long sandy beach, local tavernas and cafes, and the excellent bus service. 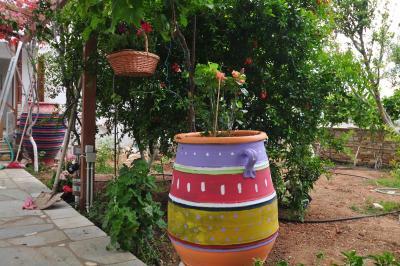 Loved the villa setting - in a quirky and interesting flower filled courtyard. Very impressed with the owner, who was extremely helpful and friendly. Nothing was too much trouble. We only got to stay one night, but we wish had more time to spend here. Everyone was very friendly, the room was nice, and very comfortable. Great location, and beautiful property! Probably the best accommodation that I have had for such a low price. 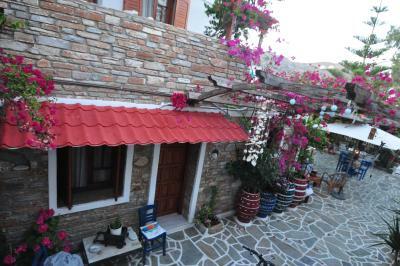 The pension is located close to Yalos beach and the room is both well equipped and charming, with a nice balcony that offers a great view on the surroundings. I also appreciated the helpfulness and friendliness of the owner. 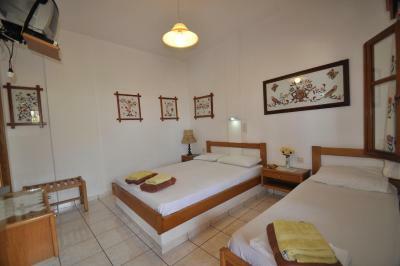 Beautiful room, very close to the port and the village, the owner was kind and helpful in every situation. Villa Mata is so cute!!!! 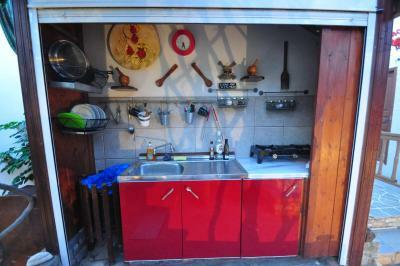 Stanza bellissima, vicino al porto e al villaggio, proprietario gentilissimo e disponibile.Villa Mata è un posto incantevole!!! Family owned business that exceeded expectations. Excellent friendly hosts that were also very helpful with information about the island. I would highly recommend this property and I will be returning on my next trip to IOS. 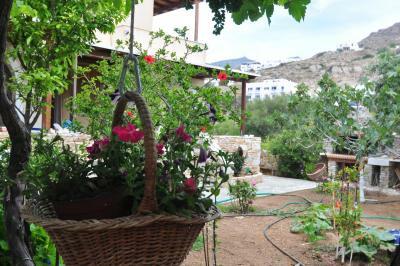 At the edge of the picturesque port of Ios, this is a family-run, traditional guesthouse, just 150 feet from the sandy Yialos beach and half a mile from the village. Villa Mata consists of 2 separate buildings and is surrounded by a beautiful yard where you can enjoy many relaxing and fun barbecue nights. 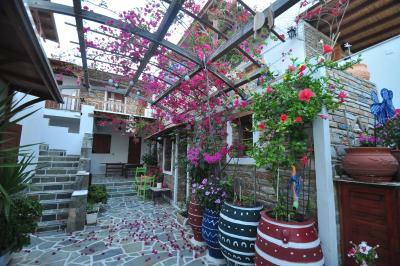 In Villa Mata, every room combines traditional Aegean structure and modern facilities, including free Wi-Fi. Frequent buses and taxi services provide you with easy access to and from the village of Ios and the other beaches of Ios. When would you like to stay at Villa Mata? Only 164 feet from the beach, this air-conditioned room opens to a balcony. Fitted with built-in or wooden beds, it offers free Wi-Fi, a TV and fridge. House Rules Villa Mata takes special requests – add in the next step! Liked everything about our stay. No problems at all. Value for money for sure. On the beach and close to the port. 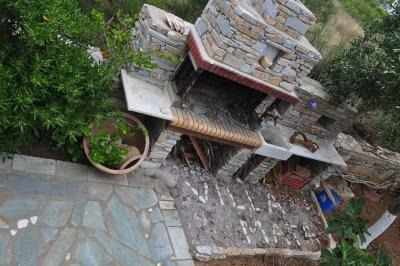 Loved the common areas especially the kitchen in the garden. 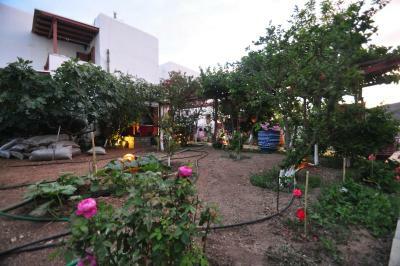 The house with the garden around is beautiful!!! The owner eas extremely helpful with tips for the island. Great location, lambros is really friendly and helpful. Bed really comfortable, which I never thought I would say about Greek beds!! 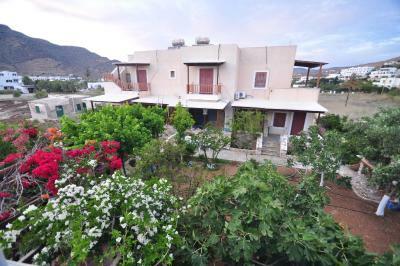 Fantastic location, seconds from the port and beach and 10 minutes up steps to the village. Buses were also very close and an option to get to the village if you didn’t want to walk. The port is a small pretty harbour with shops and restaurants, not the standard feel of a port. The service was fantastic, with the owner always on hand to provide tips and say hello. Unbelievable price and very clean. Highly recommended. I hope to stay here again one day.